Newly remodeled and so beautiful! Ideally located single story in popular Pleasanton Valley within walking distance to all 3 levels of school, aquatic center, parks, and Historic Downtown. Very desirable expanded Country model floor plan features eat-in Kitchen w/new SS appliances and granite counter tops, Family Rm w/FP and window seat, Formal LR and DR, and spacious Master BR Suite w/Bonus Area, Backyard access, and newly updated Bath. 4 additional comfortably sized BRs share 2 full updated Baths w/new granite counters, sinks, and fixtures. Additional updates include flooring throughout, neutral interior paint w/re-textured walls and ceilings, baseboards, new front exterior paint, and new front landscaping. Skylights, recessed lighting, newer roof and AC. Fenced Backyard includes brick patio and raised deck. No HOA dues. Top Pleasanton schools, proximity to major commuter corridors, ACE Train, BART & TECH Buses. 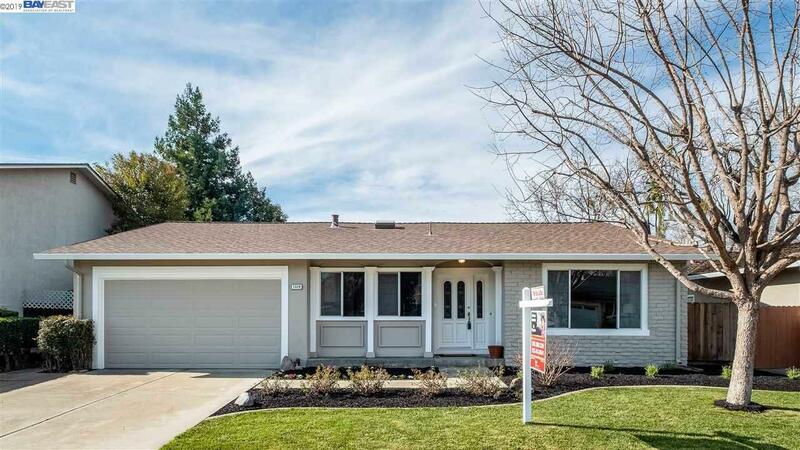 Listing courtesy of Liz Venema of Keller Williams Tri Valley.